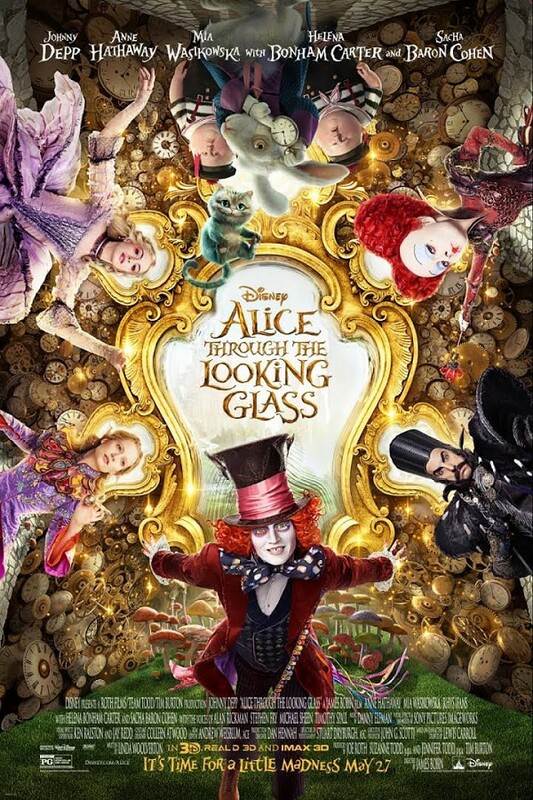 I saw "Alice Through The Looking Glass". Very pretty. Lots of colors. Not much substance. I wouldn't consider it a little kids movie. They won't 'get it'. Adolescents on up would be fine. The use of CGI was almost overwhelming. It felt as though most of the movie must have shot in front of a green screen. I enjoyed the recurring actors in their roles. Johnny Depp, as the Mad Hatter, is always good. Mia Wasikowska does a nice job as Alice. Helena Bonham Carter is good no matter what role she is in, but her Red Queen is very good. There is a little story about the Hatter longing for the family he lost and then looking for them. He gets sick and Alice comes to his rescue. You can probably guess how it ends. It was a good excuse for movie popcorn. So go. Have fun. Eat popcorn.